The longest running TV Show in American primetime history is (wait for it)... everybody's favourite dysfunctional family, "The Simpsons". The FOX Network has ordered two more seasons of the popular cartoon. This means that the show (that started in 1989) will overtake "Gunsmoke" as the longest running series. The 21st season of The Simpsons will air in the fall (autumn in the US). Its second season in the two-year deal will come in 2010. The previous record holder, Gunsmoke, ended in 1975 after 20 seasons. Running closely behind these two classic series in third place currently, is "Law & Order", which has been aired on the NBC network for the past 19 years in the prime-time slot (since 1990). 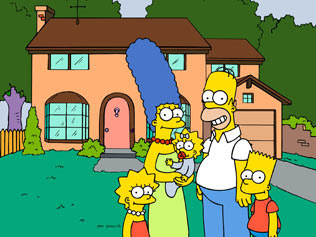 The Simpsons, created by cartoon artist Matt Groening, has won 24 Emmy Awards throughout it's life. As nearly everybody already knows, The Simpsons are a family of five. The poor, dull-witted father Homer, good-intentioned mother Marge, and kids Bart, Lisa and Maggie. They live in a town called Springfield in the United States. The Simpsons Movie hit theaters in 2007, and went grossed more than $527 million at the box office worldwide. 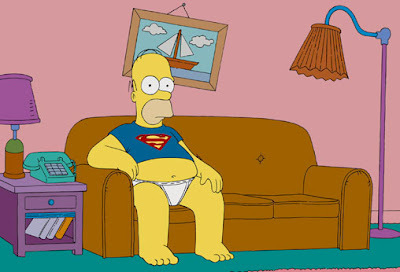 Now let's admit it, fellas - there's a little bit of Homer in all of us!! !